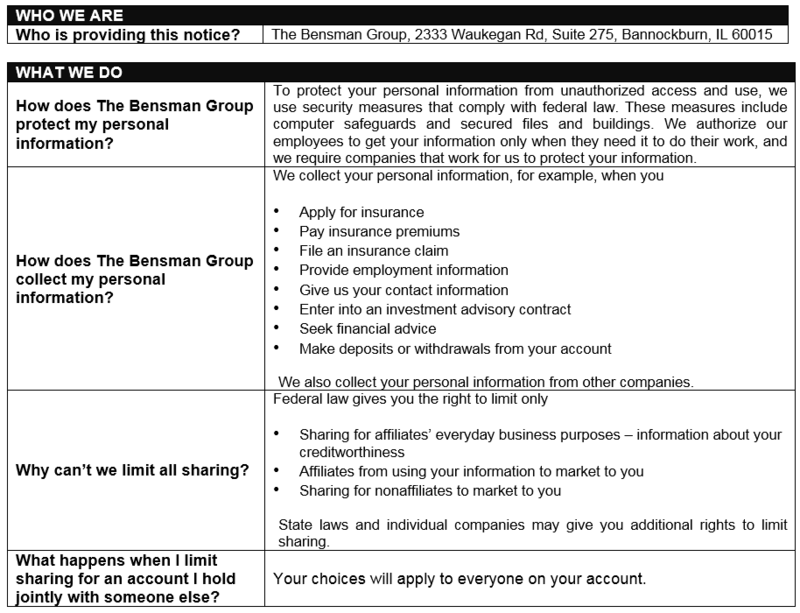 As a client of our agency, we take this opportunity to both thank you and share with you the importance in which we hold the privacy and confidentiality of your insurance, investment and nonpublic personal information (hereinafter “personal information”). 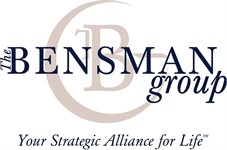 The Bensman Group, as a member of the financial services industry, has been and continues to be subject to applicable federal and state privacy laws regarding the collection and exchange of your nonpublic personal information. In working with you, we gather necessary information from you and other public, insurance and investment sources to execute the insurance/investment market search and placement for the insurance coverage/investments your needs and risk exposures require.